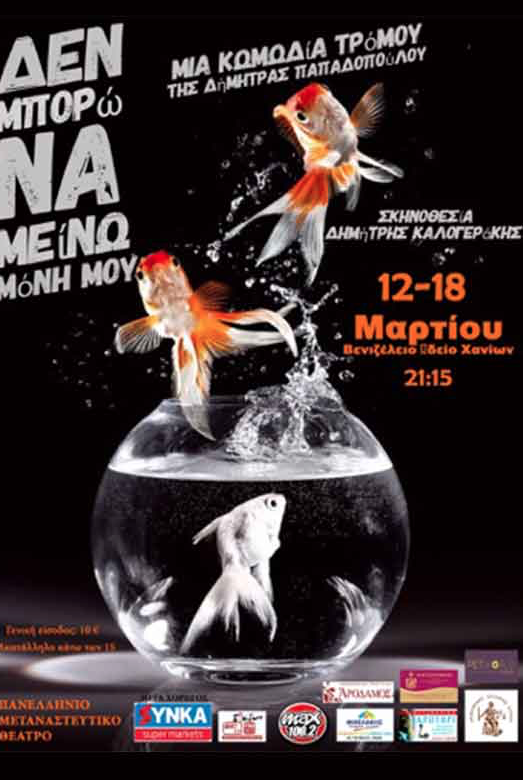 A hilarious comedy by Dimitra Papadopoulou, directed by Dimitris Kalogerakis : A wealthy heir, a haunted house and strange visitors meet in this entertaining play – a mixture of comedy, mystery and existential anxieties. Not suitable for teens under 15. Part of the proceeds will go to a charity institution for disabled children (ΚΗΦΑΑΜΕΑ) and the Alzheimer’s Day Care Centre.